If you have carpal tunnel, or you know someone who suffers from this condition, you understand how painful it can be. Having the right products to help alleviate this problem can help to make someone’s life better and more productive. 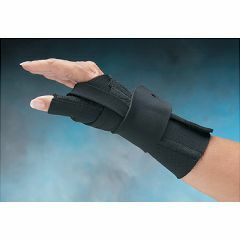 Some of the options offered from Allegro Medical include carpal tunnel braces, Norco therapeutic compression gloves, wrist support, specialized mouse pads, wrist and hand orthosis, and more. When you need a quality wrist brace for carpal tunnel, remember AllegroMedical.com. Our Best Price Guarantee ensures that you will have the lowest prices.